Looking to install a new heater in your home? Your two most popular choices in Los Angeles, CA, are a heat pump and a furnace. Each one has its advantages and disadvantages when compared to the other. Thus, makes it difficult which one of them to choose. The following things will greatly help you to make a decision without hesitation. Call one of our HVAC professionals any time at Jupiter Air Conditioning & Heating to help you make your best decision as well. The short version of how a heat pump works is that it transfers heat from one area to another. It works the same as an air conditioner does, but in reverse. In fact a heat pump doesn’t create heat, it draws heat in and moves it around. It’s also an air conditioner, so you pretty much get two for one with a heat pump. Here are its pros and cons. Runs cleaner. A heat pump works with electricity, thus it’s a cleaner source of energy compared to gas or oil. It can create one-and-a-half to three times more energy than it uses. More expensive to run. As a heat pump operates on electricity, it can cost more expensive since electricity’s generally higher in price compared to gas or oil. Of course it depends on the cost of electricity of the corresponding place..
Can typically only be used for heat in warmer climates. A heat pump only heats in temperatures over 40 degrees Fahrenheit. But it is not enough, so your home will need a supplementary heater. Thus if your home is situated in the southeastern coastal part of the U.S. or California, you ‘d better to choose a heat pump. But if your primary home is located where winter is too cold, you’ll need a furnace. Has shorter lifespan. A heat pump has a projected validity of fifteen to twenty years, while a furnace has a twenty-to-thirty-year lifespan. A heat pump suffers more wear and tear as well, since it runs year round, as opposed to a furnace that typically runs only a few months a year. So besides the shorter lifetime this could result in more frequent repairs. A brief information how a furnace works is that it uses a fuel to create its own heat, and then its fan blows the heat to different areas of your home. Here are its pros and cons. Has longer lifespan. Running only a few months of the year, a furnace’s lifespan is longer than a heat pump’s. You are able to enjoy most furnaces nowadays twenty to thirty years. Has less maintenance. Running on the same principle as its lifespan, as you use a furnace just a few months a year, the wear and tear is less, resulting in less repairs with proper annual maintenance. Can be used in homes everywhere. You can install a furnace in any climate, independent of the temperatures. Can’t cool air. Since a furnace can only heat air, unlike a heat pump, you will have to make an additional investment in an air conditioner with a furnace. There really is no clear cut answer on which is a better choice. The actual answer is it just depends–on you. Take into account several factors–your home’s climate, the energy rates for electricity vs. gas, how environmentally friendly the energy source would be–and go from there. 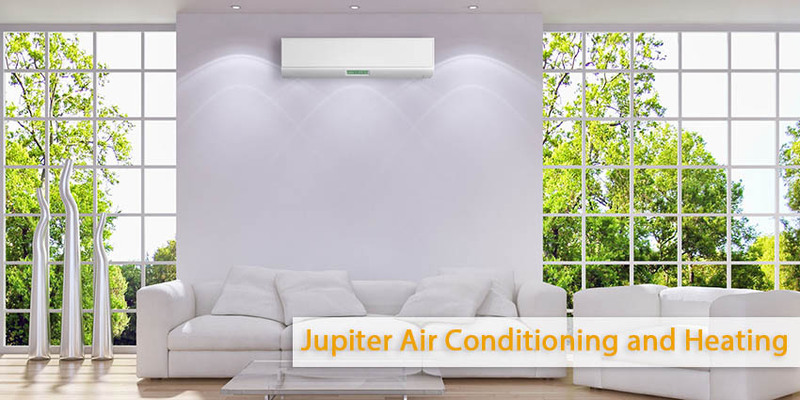 Consult with any of our Jupiter Air Conditioning & Heating professionals at (800) 407-1727, and we can help you choose the best option all the way around for your home.